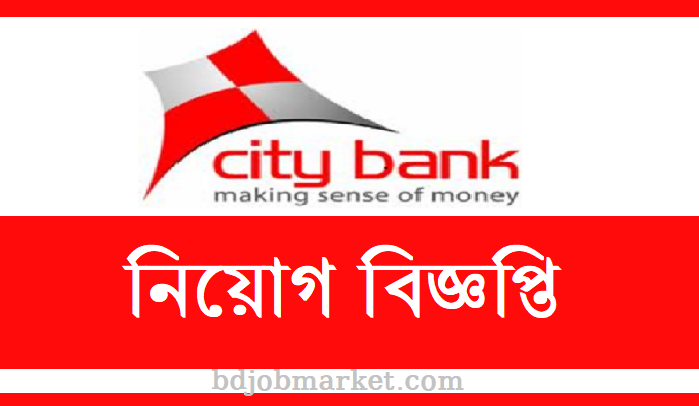 City Bank Limited Job Circular 2019. The official website of the bank is www.thecitybank.com. If you like to build a career in Bank jobs it is a great opportunity for you. If you have the required qualifications then don’t late to apply. In our website bdjobmarket.com we regularly publish all the job information like circular, results, notices, seat plans etc. 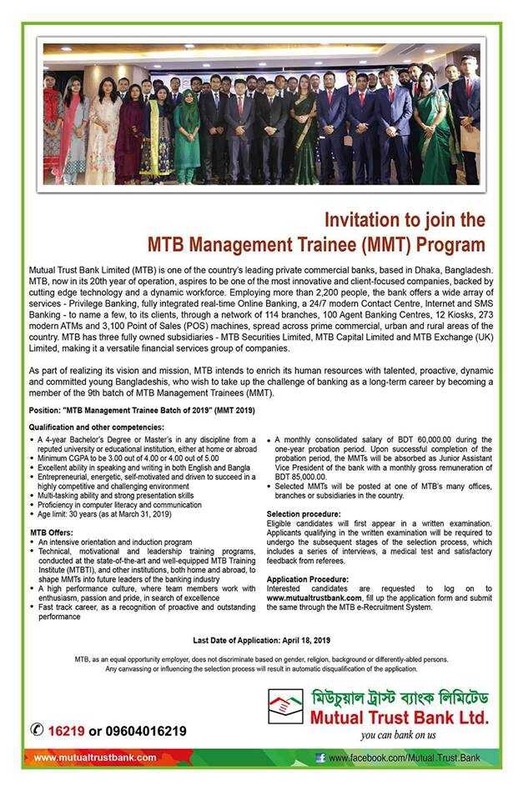 Mutual Trust Bank Limited Job Circular 2019 – MTB Career. 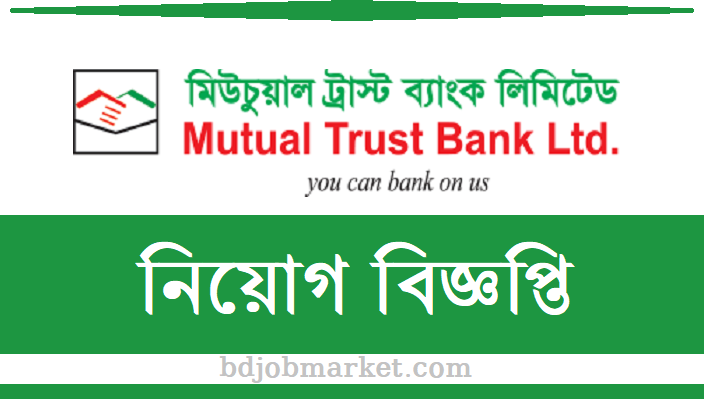 The job circular of Mutual Trust Bank has been published recently. In BD job market you will get all the jobs Circular, seat plans, exam date, job exam results etc. If you think you have the required qualifications, then apply for the job now. 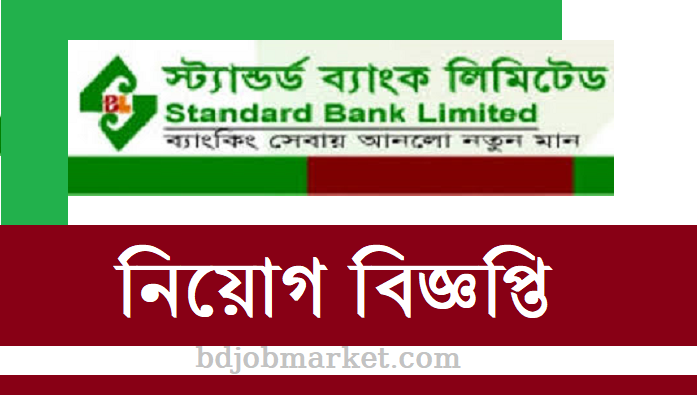 Bangladesh bank job circular, private bank job circular, islami bank bd jobs, prime bank bd jobs, bd jobs trust bank, ucb bank assistant cash officer, ucb bank salary structure. 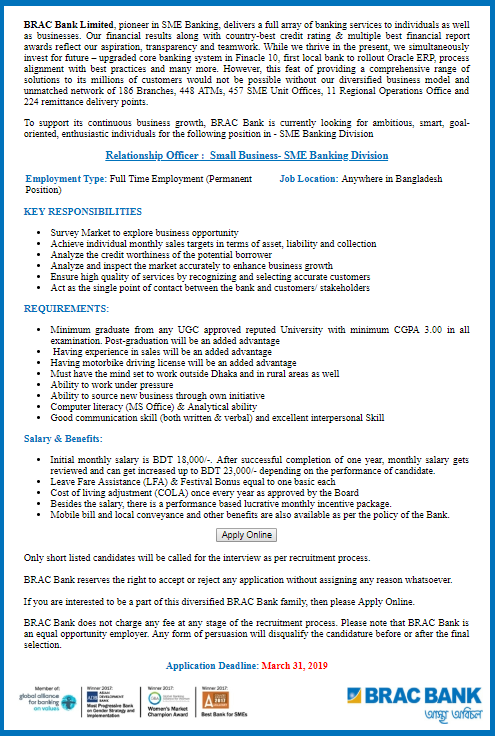 Community bank careers , BRAC Bank Job Circular. 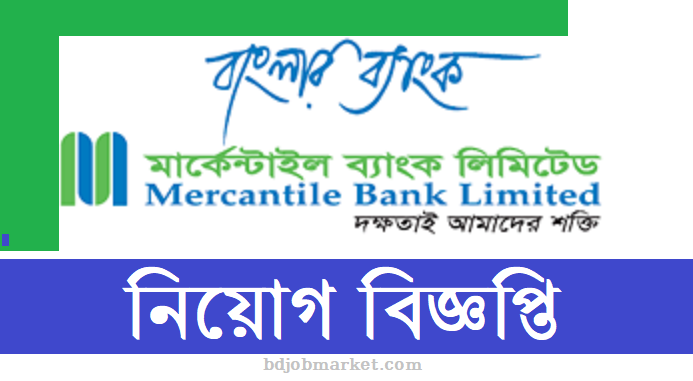 BRAC Bank job circular 2019.
islami bank bd jobs, prime bank bd jobs, bd jobs trust bank, ucb bank assistant cash officer, ucb bank salary structure. Community bank careers BRAC Bank Job Circular. Pubali Bank Limited Junior Officer MCQ Exam Date has been published recently. Pubali Bank limited is one of the reputed banks in Bangladesh. This bank has a vast business through the whole Bangladesh even in the rural areas. 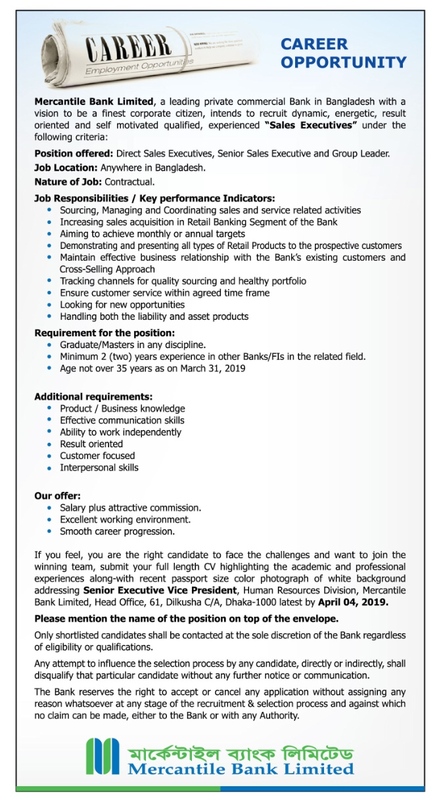 Pubali Bank is going to appoint a number of Junior Officer for operating the banking operations in BD. 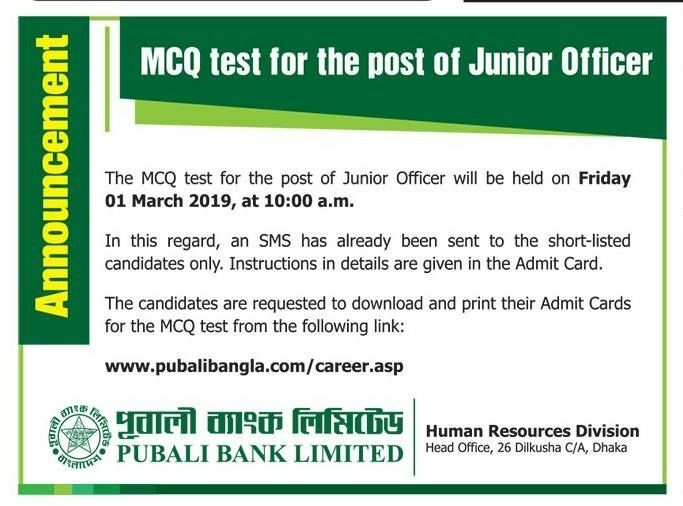 The details of the Pubali Bank Limited Junior Officer MCQ Exam Date and time will be available in the following image file. The MCQ test for the post of Junior Officer will be held on Friday o1 March 2019, at 10:00 am. In this regard an SMS has already been sent to the short-listed candidates only. Instruction in details are given in the Admit Card. 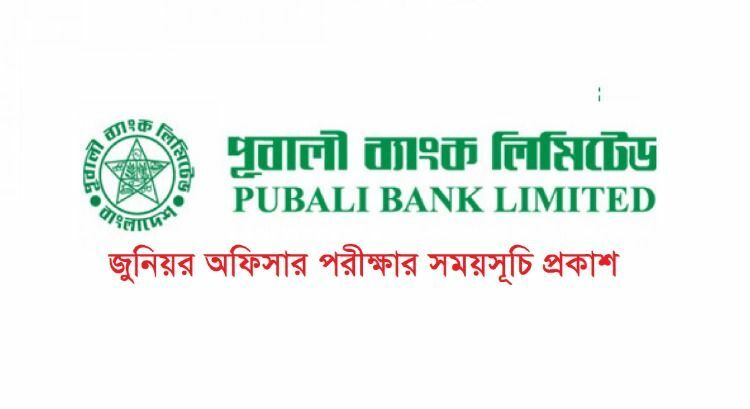 People also Search related to Pubali bank limited job circular 2019, Pubali bank junior officer job circular. 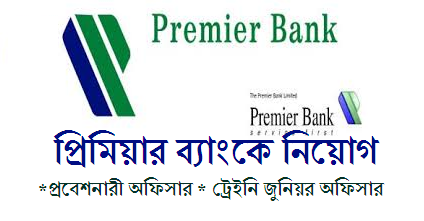 Pubali bank job circular 2018, Pubali bank bd job circular 2018. Dutch Bangla Bank is one of the top used ranked in Bnagladesh. The bank is executing its business throughout the country. 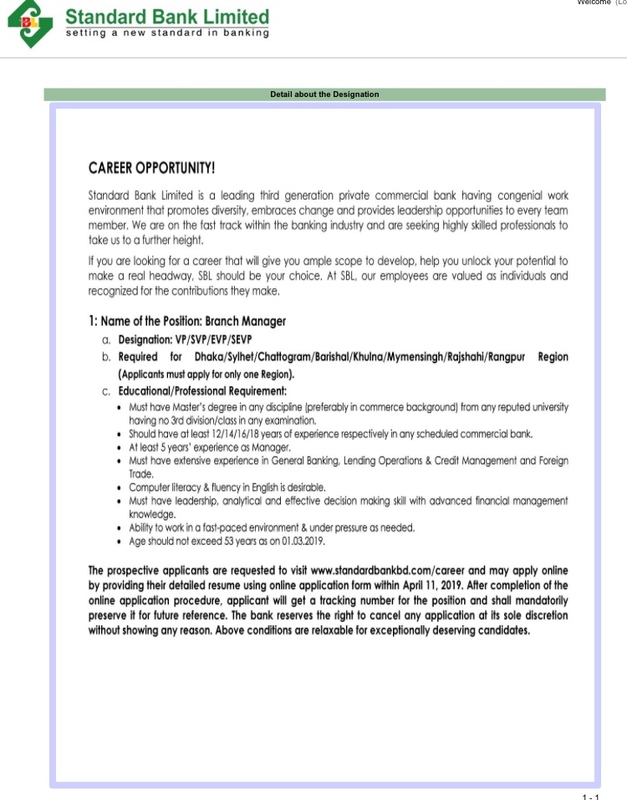 Dutch Bangla Bank Career, a popular career opportunity for the job seekers. Now a days getting a job is very hard for the students and for the people who are searching a good job. Dutch Bangla Bank job circular 2019 has created a great chance for them. In Bangladesh there are two types of banks. They are- government banks and private banks. Dutch Bangla Bank Limited is a private sector commercial bank in, Bangladesh. Dutch Bangla Bank Current Account helps you manage your daily finances. The Savings Account gives you the freedom. 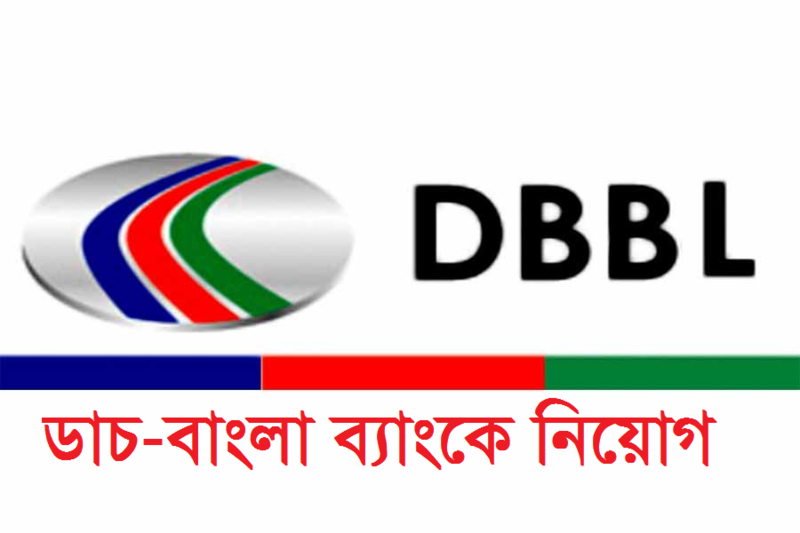 It is a great opportunity for the job seekers that Dutch Bangla Bank Job Circular 2019 has been published recently. The Bank is one of the most progressive and prestigious Banks in the country. The Bank has initiated its transformation process with a new business model and strategy. In the process of the journey, the Bank is going to recruit the talents as (i) ADC Manager (ii) ADC Senior Executive. 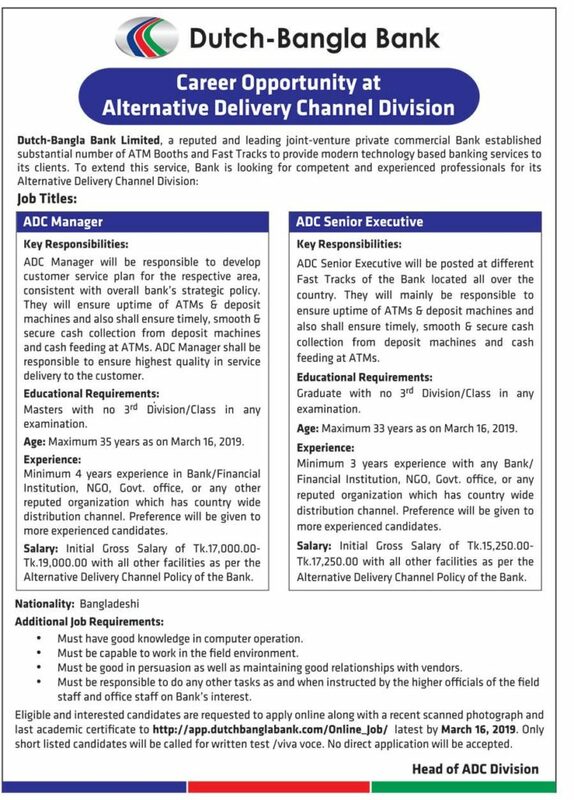 Key Responsibilities: ADC Manager will be responsible to develop customer service plan for the respective area, consistent with overall bank’s strategic policy. They will ensure uptime of ATMs & deposit machines and also shall ensure timely, smooth & secure cash collection from deposit machines and cash feeding at ATMs. 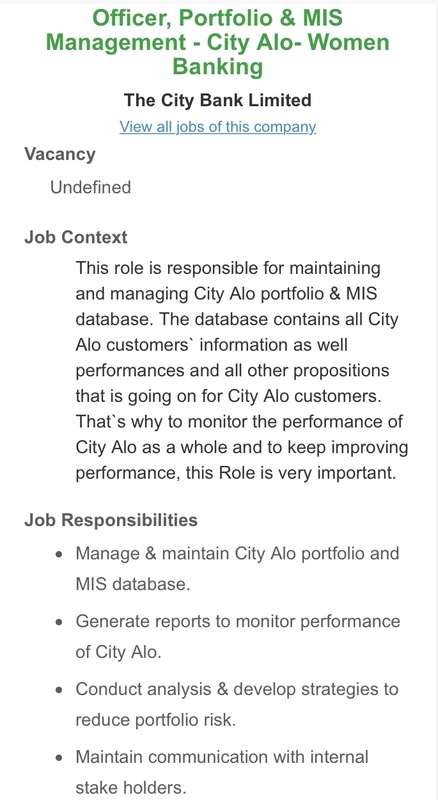 ADC Manager shall be responsible to ensure highest quality in service delivery to the customer. Age: Maximum 35 years as on March 16, 2019. 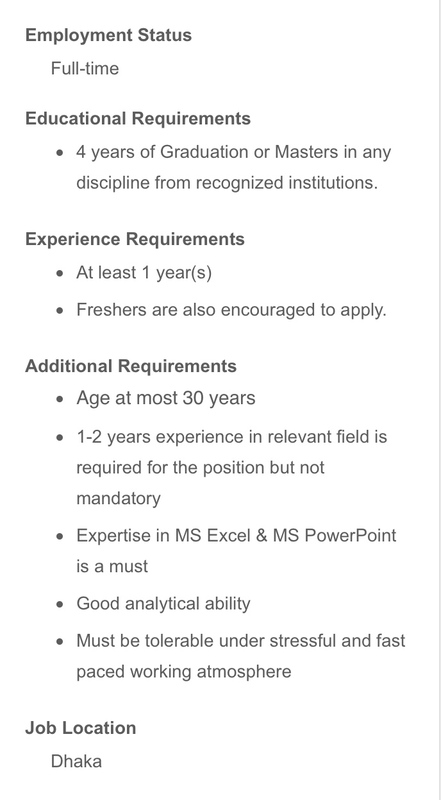 Experience: Minimum 4 years experience in Bank/Financial Institution, NGO, Govt. office, or any other reputed organization which has country wide distribution channel. Preference will be given to more experienced candidates. Salary: Initial Gross Salary of Tk.17,000.00-Tk.19,000.00 with all other facilities as per the Alternative Delivery Channel Policy of the Bank. Key Responsibilities: ADC Senior Executive will be posted at different Fast Tracks of the Bank located all over the country. They will mainly be responsible to ensure uptime of ATMs & deposit machines and also shall ensure timely, smooth & secure cash collection from deposit machines and cash feeding at ATMs. Age: Maximum 33 years as on March 16, 2019. Experience: Minimum 3 years experience with any Bank/Financial Institution, NGO, Govt. office, or any reputed organization which has country wide distribution channel. Salary: Initial Gross Salary of Tk.15,250.00-Tk.17,250.00 with all other facilities as per the Alternative Delivery Channel Policy of the Bank. The Infrastructure Development Company Limited (IDCOL) has recently published Job Circular in a national daily.